Amsterdam is one of the most famous international conference destinations in the world. The city has a wide range of conference centres and is therefore very accessible for organizing various meetings. Offering diverse work and meeting opportunities brings many benefits. In this way, the external organization of conferences can have a major impact on the productivity, effectiveness and involvement of your company. If you are looking for a suitable location for organizing your meeting, a favourable location and accessibility is of crucial importance. It is important to ensure that the location is easily accessible by car and public transport for your party. Thanks to the convenient location, close to the Central Station and Schiphol Airport, the Van der Valk Amsterdam conference venues are very suitable. Valk Hotel Amsterdam offers you the possibility to organize of various meetings. With a wide range of no less than eleven different rooms you are given the opportunity to put together an ideal meeting tailored to your wishes and needs. 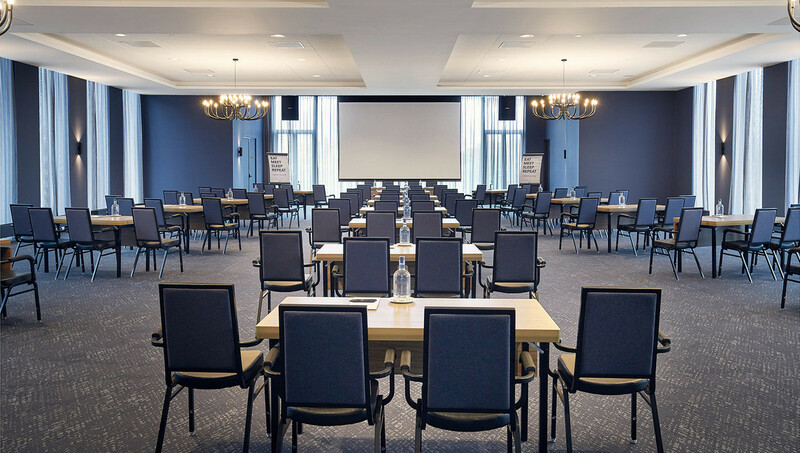 Each room usually has state-of-the-art facilities and technical equipment, including LCD presentation screens, an acoustic ceiling, sound-proof walls, a sound system and a Clickshare wireless presentation screen. You can of course extend your conference on request with various optional facilities. You can also choose from various setup options. For example, you can opt for the School, U-shape, Theater, Boardroom, Gala dinner, Reception, Cabaret and Carré formats. A team of specialists is happy to think along with you about the necessary facilities for putting together your ideal meeting. For more information about organizing a conference in Amsterdam at Van der Valk Hotel Amsterdam-Amstel, please visit the website or contact us at 020 80 01 100.